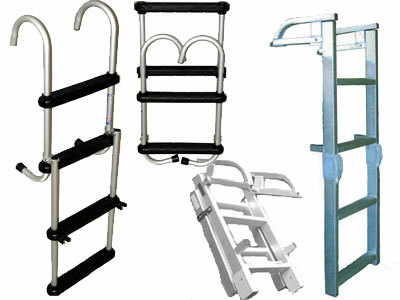 Getting into and out of the water and buying a ladder online, shouldn't be difficult. Everything you need to get into or out of the water. Whether a dock, a sea wall or a Pontoon boat. 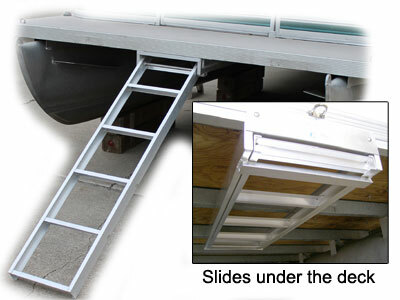 We offer Traditional Dock and Pontoon Boat Ladders, telescoping ladders, ladders that lift or fold, ladders that stow out of the way, Pontoon Boat ladders that stow under the deck, Dock or Seawall boarding steps, and the parts and accessories that go with them. All from leading manufacturers with warranties. 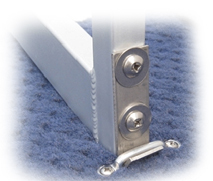 All of the ladders and kits we sell for ladders INCLUDE mounting hardware. Some ladders include two sets of hardware. One for wood, one for an aluminum/plastic dock. Unless you have a special installation, we don’t send you off to the hardware store for nuts and bolts. Having to climb a dock ladder will keep some swimmers out of the water. 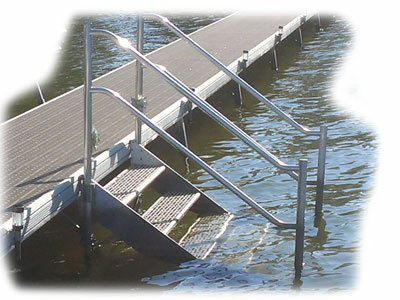 Anyone (even pets) can get out of the water with dock steps. Copyright © 2017 --- Dock and Pontoon Ladders.